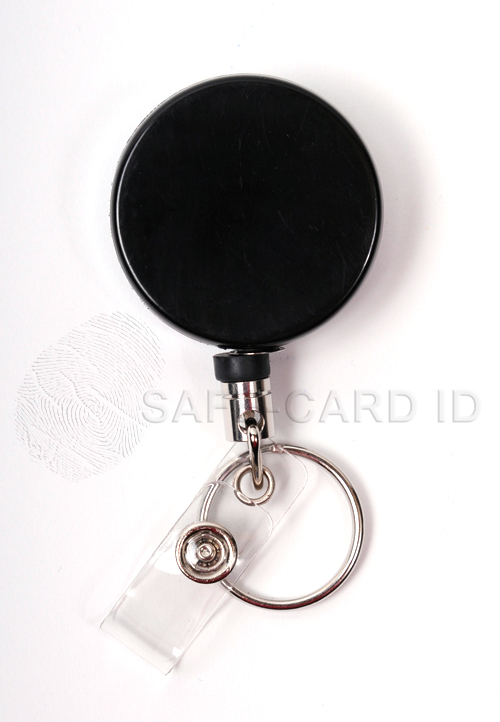 Black/Chrome round retractable heavy duty badge reel has a slide style belt clip to attach your clothing. Reinforced vinyl strap and nylon wire cord. Reel size: 1 1/2 inch or 38 mm. Cord length: 22 inches or 559 mm. Clear Vinyl strap clip to fasten to the ID.